Which Teen Titans Will Be in the Live-Action TV Series? 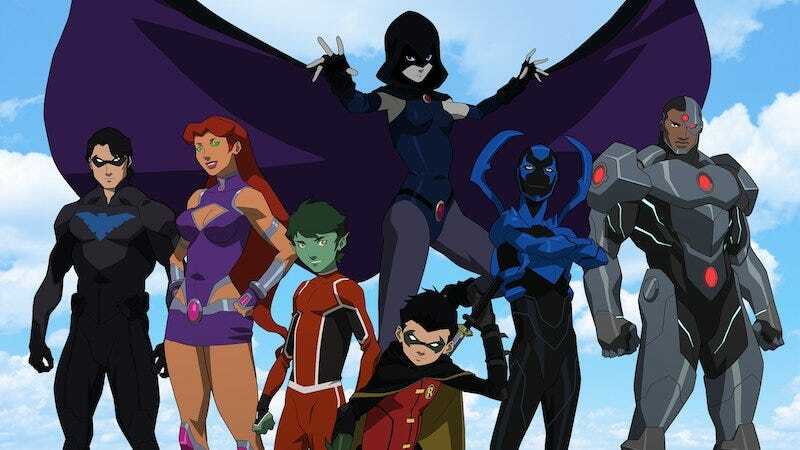 The live-action Teen Titans are finally coming to television (sorta) by way of a new digital streaming service from DC. As anyone who follows the Titans knows, though, they’ve got a pretty fluid roster of heroes that changes constantly. Today’s news has us wondering: which Titans are we going to see? Here’s what we know so far: the series is being executive produced by DC CW producers Greg Berlanti and Sarah Schechter—a fact that may very well affect the casting of the show as it moves into production. It’s unclear if and how the new Titans series will interconnect with the DC elements of the CW, but if it does, it would mean that a number of younger heroes like The Flash’s Kid Flash and Arrow’s Speedy could make plausible moves to the new team. On the other hand, though, if Titans were its entirely own thing like Gotham, the show would be freer to have its own, new version of young heroes that have already appeared on-screen—which in turn would give it more freedom to tell its own stories. There’s a real benefit in giving it its own continuity that osn’t beholden to the CW properties. But still, that presumably leaves open at lease one or two spots to fill, and round out the team’s power set. Although geared to a younger audience, Cartoon Network’s Teen Titans Go! —and its previous, tween-targeting incarnation—is probably the configuration of the Titans that most people are familiar with these days. If the new show wants to build on that recognition, then we could expect to eventually see Beast Boy and Cyborg. Here’s the thing, though: Titans already calls for two characters who can fly and project various types of energies as offensive weapons, which makes it unlikely that the show would want another. These powers also translate into significant visual effects costs, making it even more problematic. But on that subject, it’s also unlikely that Titans would have a large enough budget to accommodate a green guy who shapeshifts into animals and a man whose body is mostly made up of high-tech machinery. Although Beast Boy appears to be a lock, it’s plausible that his look and his powers might change (now he just talks to animals). If that floodgate opens, then Cyborg could appear in the same manner (he’s just really good with computers). Seeing as how Wally West is already zipping around Central City with Team Flash over on the CW, it’s difficult to say whether or not DC would be willing or interested in having the speedster running with the Titans as well. It’d be well within the realm of possibility for The Flash’s Kid Flash (Keiynan Lonsdale) travel to a parallel earth where Titans takes place, or if the show has its own continuity it could have it’s own Kid Flash, but we’ll see. From a more technical perspective, though, Kid Flash’s speed powers are exactly the kind of cost effective SFX that work well on live action television. As a character, Speedy also suffers from the same issue facing Kid Flash: being an established presence on a different show on a different network already. But Speedy’s always served as a welcome foil to Robin’s canonical uptightness and a quicker full of trick arrows is a very, very manageable superpower to pull off on TV week to week. You know Kaldur’ahm from Young Justice which, as luck would have it, is also coming back to television for a third season. Aqualad would make a damn fine (and practical) addition to the Titans, though. His super strength and ability to breathe underwater could be produced on a relatively reasonable budget and it’d be cool to have a gay Titan on the team. Donna Troy almost seems like a no-brainer. 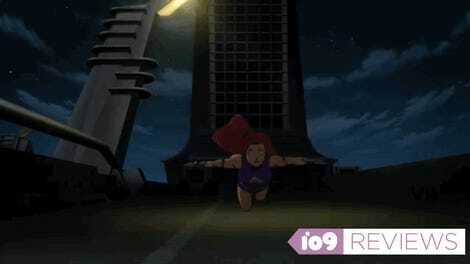 Despite being a frequent member of the Titans in the comics, Donna’s seldom been seen in Titan-related animated productions. Her durability, strength, and ability to imitate voices could be done convincingly—a la Supergirl—and her presence on the team would introduce Amazonian plot elements to the show. Listen. If Superman can be a guest star on Supergirl, then Superboy can be a series regular on Titans. That’s just math. Those are our picks. Let’s hear yours.